At the 2017 Global Networking Event in Las Vegas, Sotheby’s International Realty® affiliates from around the world came together for a compelling cause. After a thoughtful presentation about his non-profit New Story, Brett Hagler, co-founder and CEO, set a goal for the GNE attendees to pledge the funds for the construction of 100 homes in a new community in Aguascalientes, Mexico. The goal was reached before the end of the day and was surpassed within 32 hours, totaling 153 homes by the end of GNE. Scenic Sotheby’s International Realty pledged $6,500 – the cost to build one home. These homes will provide a safe, sustainable living environment and unlock the potential for families to thrive. The community in Mexico has the capacity for 300 homes and we have the opportunity to make a large impact. 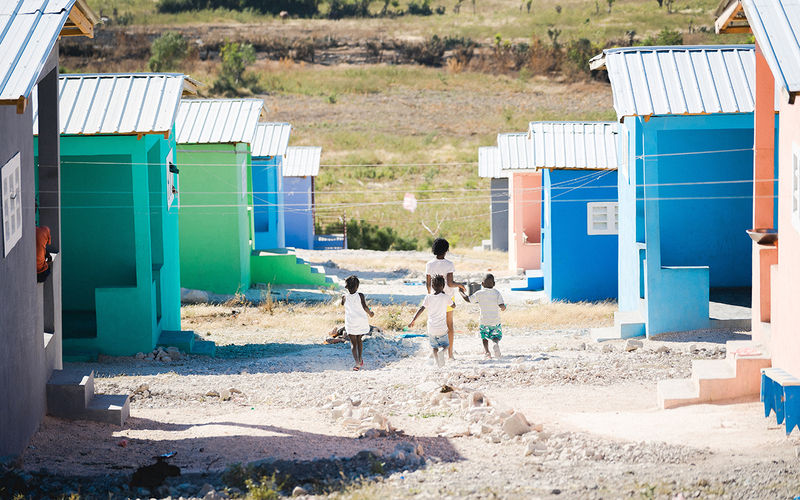 With 153 homes pledged, we are more than halfway there! 100% of all donations raised through Sotheby’s International Realty affiliated companies and sales associates will be directly applied by New Story to hiring local workers and buying local materials for the construction of homes in Aguascalientes, Mexico. New Story’s operational costs are covered separately by a group of private donors called The Builders, so all donations go straight to the field. New Story works with local partners in-country to help identify families who have the greatest need. Once families move in, New Story surveys the community over time to measure the exact impact a safe home has on the families’ lives. Click here to learn more about New Story.